The Rubbermaid FG401260A Microburst® preference pack refills have two containers of Linen Fresh™, Orchard Fields, Mountain Peaks, Country Delight™, and Ocean Breeze. 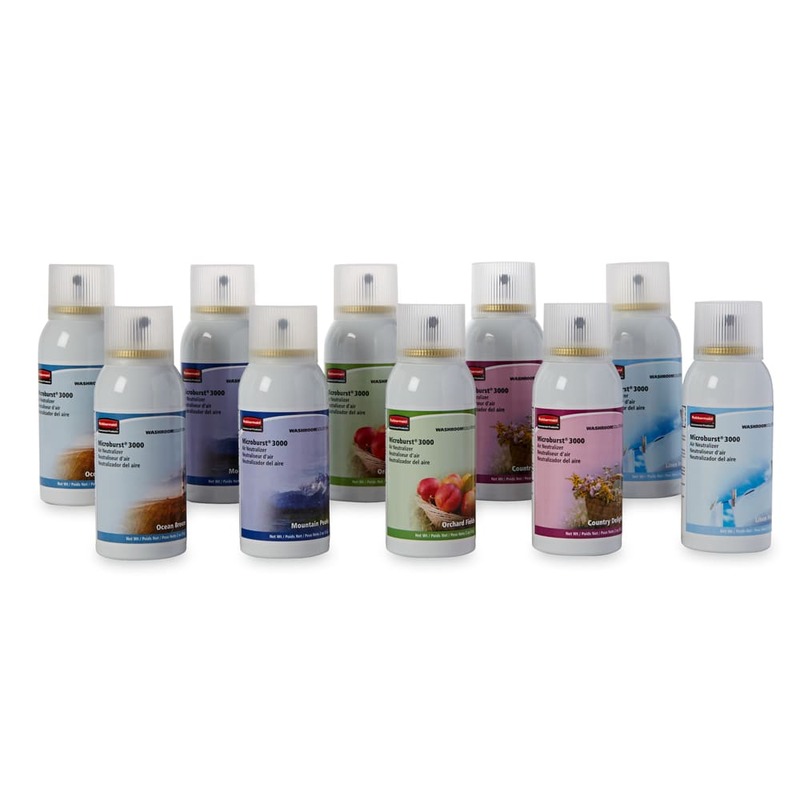 Each container has 3,000 sprays per refill, and all refills have a Microtrans® Odor Neutralizer. They distribute fine, dry mist for long-lasting performance and have 63 percent less VOCs per spray than standard aerosol sprays.